More and more, the city’s wealthiest are choosing not to buy a home. 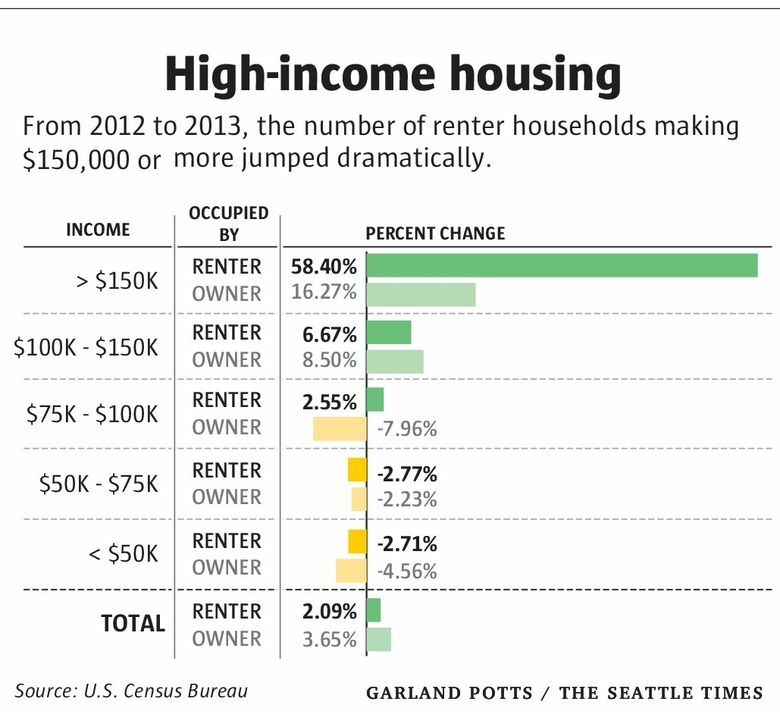 Census data shows that nearly all the growth in Seattle’s renter households came from those making $100,000 or higher. It used to be that homeownership was a foregone conclusion for affluent Americans. If you had the cash, buying was the smart move. 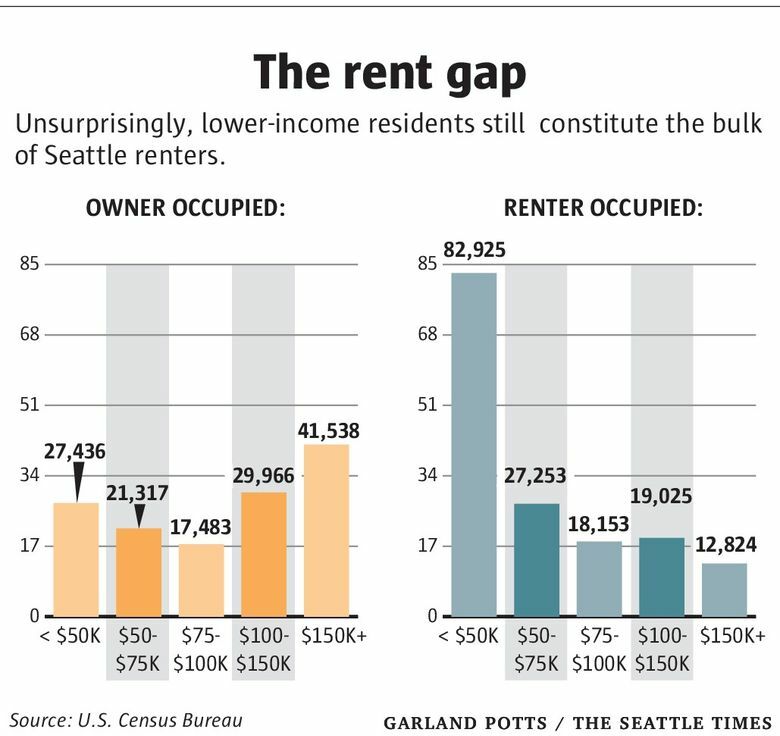 But census data shows that from 2012 to 2013 (the latest data available), nearly all the growth in Seattle’s renter households came from those making $100,000 or higher. That income group now accounts for one out of every 5 renter households in the city. By far the biggest jump was in the renters at the very top of the income ladder. Those earning at least $150,000 increased by 58 percent in that one-year period. There are now almost 13,000 renter households in Seattle at that income level — 4,700 more than in the previous year. Of course, Seattle homeowners are getting richer, too — but not nearly at the same pace. The number of owner households in the $150,000-and-up income bracket increased by about 16 percent in this period. Why so many more affluent renters? It’s not just because somebody’s got to fill up all those luxury apartments they keep building. The census numbers most likely reflect both the changing demographics of the city, and the challenging conditions of Seattle’s real-estate market. It’s no secret that there’s been an influx of workers in tech and other high-paying professions — it helped push the median household income in Seattle up by $7,000 in a single year, the second-highest increase among large U.S. cities. And many of these folks might not necessarily be ready to take the plunge into homeownership, even if they can afford it. That’s the situation for Doug Patch, an orthopedic surgeon who lives in the Capitol Hill neighborhood. Patch previously owned a Victorian row house in San Francisco, where he lived for five years. 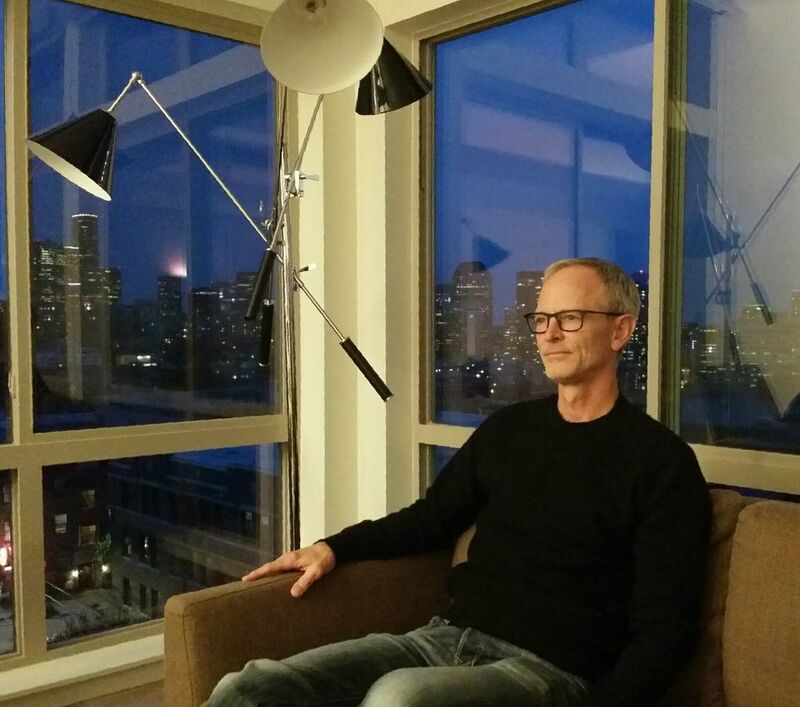 When he accepted a position on the Eastside a year ago, he decided to rent an apartment. Patch chose to rent on Capitol Hill because he’d read that it was a lively neighborhood filled with restaurants, and an easy walk to downtown. When he first visited the neighborhood, he was impressed with the number of new apartment projects under way, including the building where he now rents. “I knew that it was about to come on the market because I’d photographed it under construction, and thought it was a great location. So the first time they put an ad on Craigslist, I jumped on it and got my pick of the building. I got the top-floor unit with southwestern exposure and an incredible view.” The price tag: $3,500 a month, including parking. Patch knew very quickly after moving here that he wanted to settle in Seattle, but although he’s eyeing properties, he’s not in any rush. “I’m hesitating right now because prices keep rising, and I don’t want to buy at the peak of the market,” he says. But for other higher-income renters, buying may not even be in the near future. In a new survey by Zillow, 48 percent of renters in Seattle who earn more than $90,000 per year say they do not expect to buy within the next five years. An additional 3 percent say they never expect to buy. For many young people — even those in high-paying fields like tech — homeownership may simply not be on their radar yet. They prefer the flexibility of freedom from home maintenance that comes with renting. And even for those millennials who are planning to buy, it could take years of saving and paying off students loans before they are in a position to enter Seattle’s pricey housing market. While there’s been a big increase of affluent renters, the data also shows a decline in the number of renters in lower and middle-income brackets. Renter households with incomes below $50,000, and between $50,000 and $75,000, both declined by close to 3 percent. These folks are surely still renting — just somewhere other than Seattle.